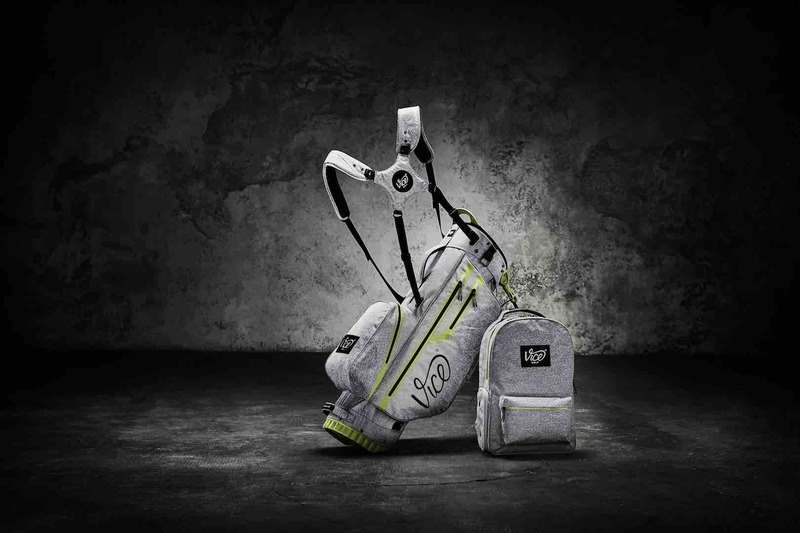 Our friends over in Germany at VICE Golf have been busy again, and this time they are bringing a new golf bag to the market on a direct to the consumer basis. 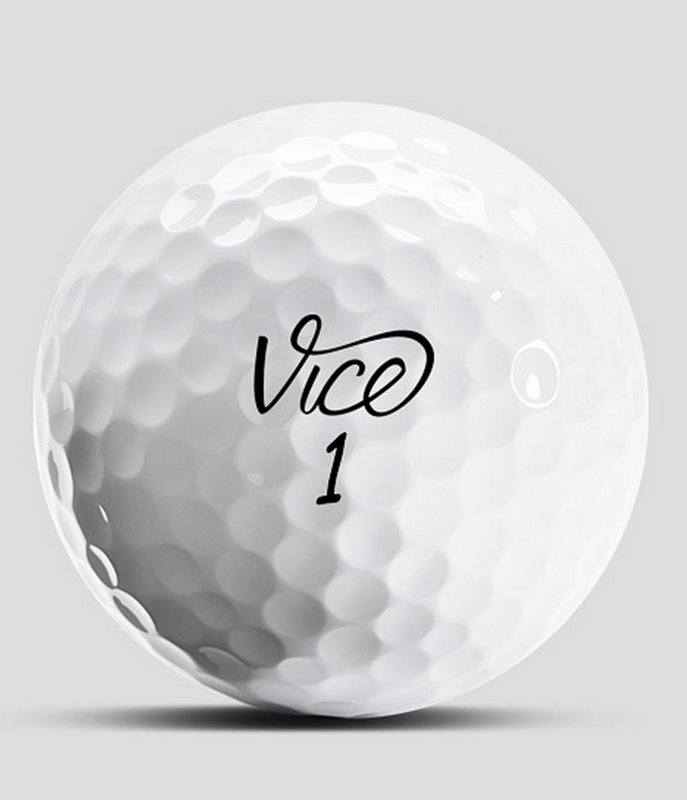 VICE first came to prominence when they started selling high–quality golf balls direct to the consumer for very competitive prices, and they have now applied this same thinking to the golf bag market. 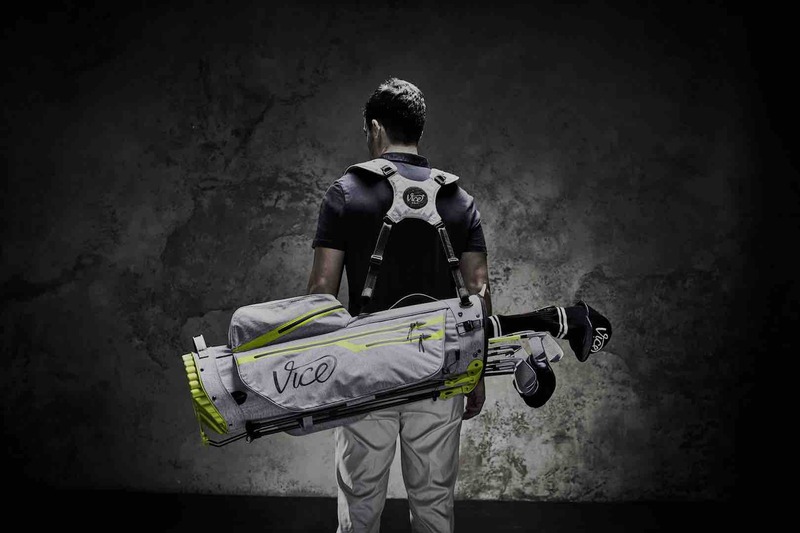 The VICE FORCE golf bag was created because the company believed that high-quality quality golf bags were being sold at premium prices, and were often simply not that good. In many cases, they believed that details such as poorly sewn patches, unstable frames or leaking zips were giving consumers an inferior product, but still at a hefty cost. 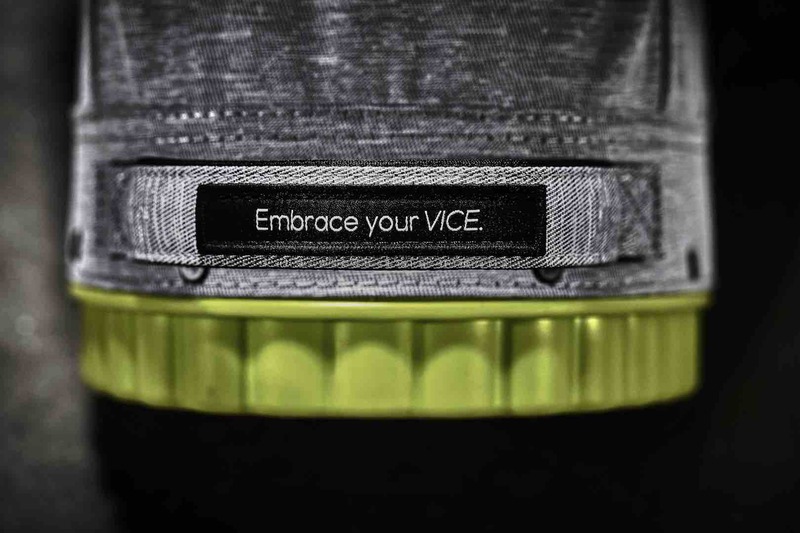 So they have now come up with their own solution with their VICE FORCE bag. 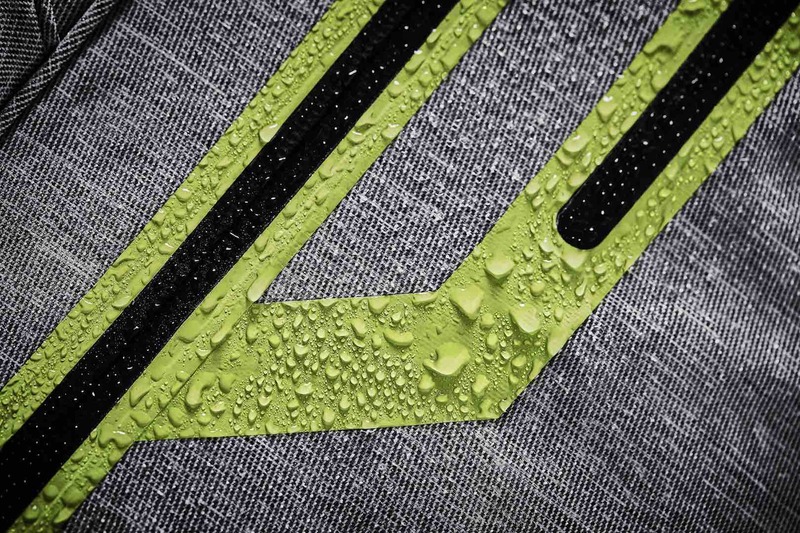 First off, it is a lightweight, 100% waterproof bag using a nylon material, which has been tested for resistance to UV–light and will deliver high performance even in rainy conditions. YKK™ AQUASEAL® zips prevent water leaking into the bag, and it is a 100% waterproof bag, which is good for starters. It has a 6–compartment design with dividers over the full length to avoid the otherwise frequent problem of “club chaos”. That’s a nice detail, as I know the issue only too well. 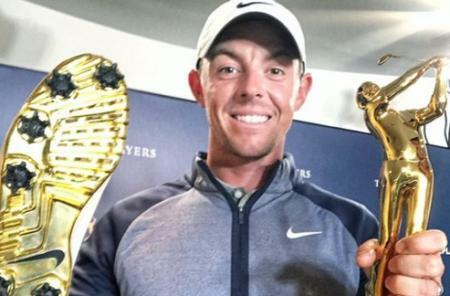 All the clubs are in their specified units, but then they get tangled up below. 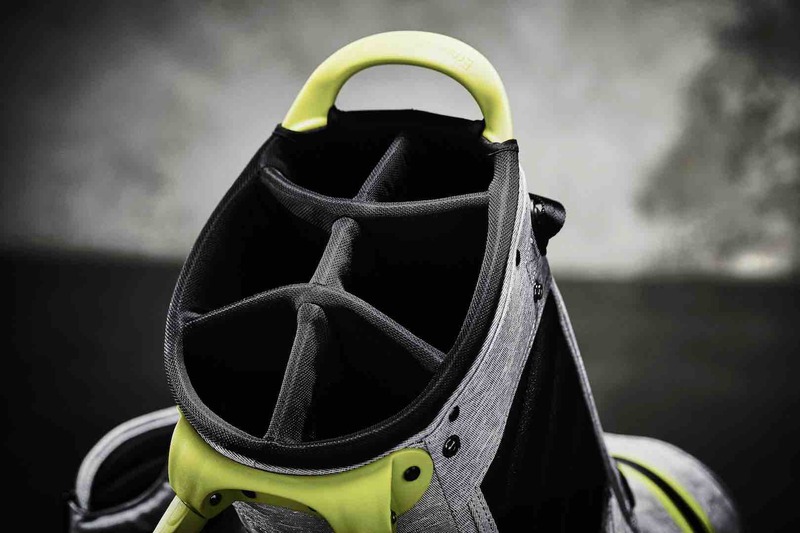 They have used a pure carbon frame with extra–large pads for maximum stability in every situation. 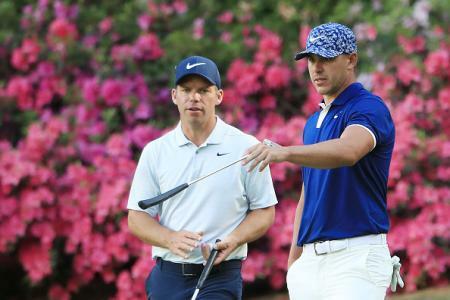 Hook-and-eye patches on the ball pocket and shoulder strap can be customized with a local club logo, or a team name. 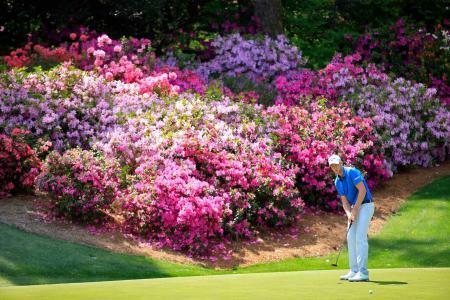 The hook-and-eye patches are also useful for keeping your glove handy during the round. Weight of only 5 lbs. 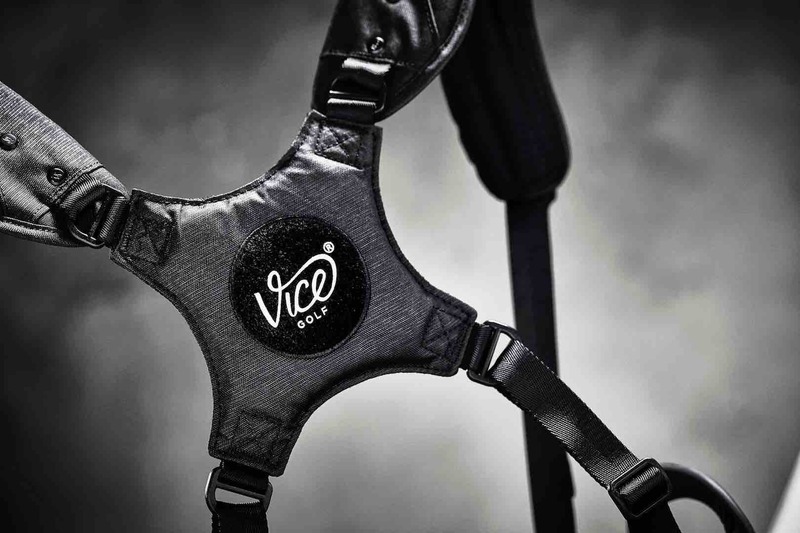 They’ve also designed a Vice CACHE backpack as an ideal complement to the VICE FORCE bag.